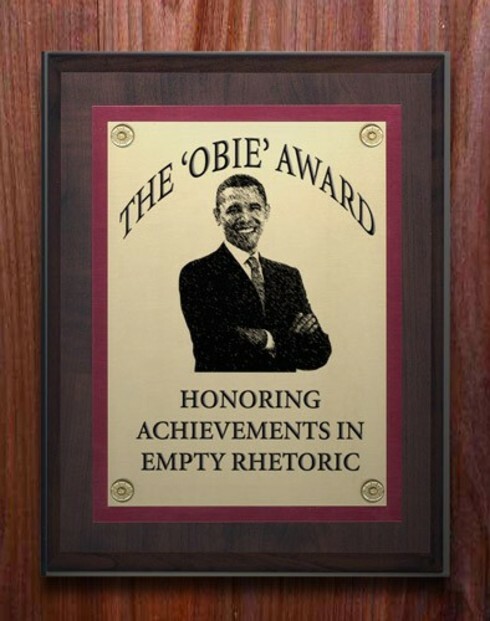 That obie award just about says it all. What a looser. Yes, he deserves this award. I just typed in blog and freedom and your blog came up first. Imagine my surprise at first to see Obama's face. I have yet to see any pro Obama site that's talks about freedom and liberty. Only what government can do.